We may love Paris in the spring, but when it comes to autumn, there’s nowhere like New England. Here's our 101 for leaf-peepers travelling from Ireland. In a word, chlorophyll. Or rather, the absence of chlorophyll. When temperatures begin to dip in September and October, the production of chlorophyll in trees stalls, allowing natural colours to show through the leaves. Spectacular reds, purples, golds, oranges and yellows bleed through in a symphony of seasonal change, as millions of maple, hickory, dogwood and other trees yield to autumn. As a natural phenomenon, it’s right up there with the northern lights and Kyoto’s cherry blossom season for travellers. Bucket lists ahoy! The painterly panoramas broadly follow the Appalachian Mountains from Canada towards North Carolina, but there’s no doubting the epicentre: New England. The region incorporates six states - Connecticut, Maine, Massachusetts, New Hampshire, Rhode Island and Vermont — all easily accessible from Boston, and all dotted with ridiculously picturesque barns, churches and farmhouses. Seasoned leaf-peepers have their favourite spots and scenic byways, but for first-timers, it's hard to go wrong anywhere in the New England countryside. The Berkshires in Western Massachusetts are spectacular, for instance. Others swear by State Route 169 parallel to the Rhode Island border in Connecticut; still others the White Mountains. You won't be disappointed. Massachusetts Tourist Board has a dedicated fall foliage website, which charts colour changes across the State. Discover New England has several suggested driving routes here. This is a natural phenomenon – so no guarantees. The fall foliage typically begins to appear in late September, reaching a peak from mid-October to early November. In the southerly states of Massachusetts and Rhode Island, as well as along the coast of New Hampshire and southern Maine, colour starts later and often lasts up until November. Are there day trips from Boston? Any sweet places to stay? The Red Lion Inn in Stockbridge is a quaint hotel close to the famous Norman Rockwell Museum… well worth a visit. See redlioninn.com; rooms from c.$195. Stonover Farm, bang in the middle of the Berkshires, was built in 1890. It's a luxury B&B with fab breakfast spreads. See stonoverfarm.com; rooms from c.$385. Connecticut's Inn at Kent Falls is within striking distance of the Berkshires, offering a neatly renovated 18th century stay. See theinnatkentfalls.com; rooms from c.$245. Is there more to Fall than… erm, foliage? 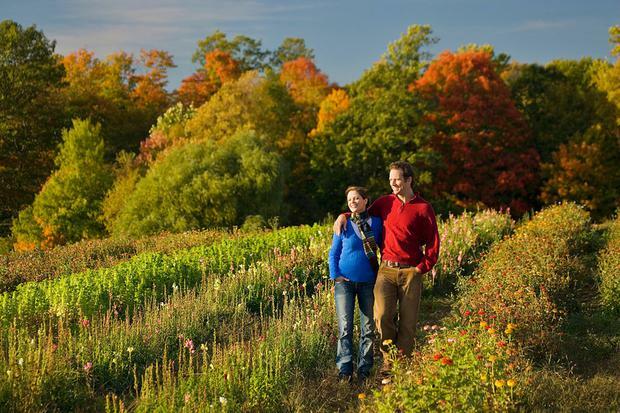 Even the most avid of leaf-peepers can have their fill of fall foliage, but thankfully there are countless other autumn traditions to enjoy on a trip… country fairs, wineries, pumpkin-carving events, cosy village shops and cafes and old-school train rides to name just a few. Renting a kayak in New Hampshire also gives a unique perspective... the fall colours can reflect gorgeously in lakes and rivers. 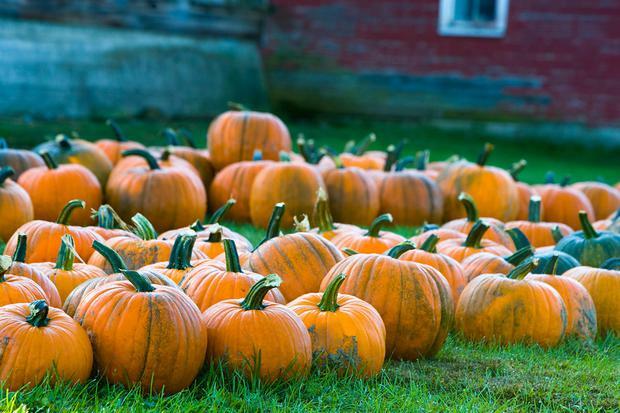 Halloween is just around the corner too, so visitors to Massachusetts may like to twin an autumn visit with Salem’s Haunted Happening – a month-long festival (October) including graveyard tours, costume parades and more in a town famous for its 17th century witch trials. Shopping in Boston (pictured above) is another obvious attraction. With Christmas now firmly on the horizon, lots of visitors combine a day in the countryside with a day browsing the equally colourful merchandise on Newbury Street, Assembly Row, Wrentham Village and Lee Outlets and more. Savings at the latter range from 25pc to 65pc off high street prices, just 45 minutes south of the city. You won’t be the only person gazing in awe at the fall foliage. Over eight million people are expected to visit between now and the end of November, according to the Institute for New Hampshire Studies, which compiles the numbers based on spending patterns, gas prices, weather and last year’s activity. They will spend over $1.6 billion. Expect prices – for accommodation, car hire and tours – to be high. You can dodge some of that by planning in advance. Certainly don’t leave car rentals to chance. The scenic byways can be crowded, particularly at weekends, so do a little homework on less-travelled backroads (taking local advice) too. The densely forested Northeast Kingdom (travelthekingdom.com) in Vermont is an example. Another useful website is Discover New England. Any Apps and Websites to help? Several foliage reports are available throughout new England, providing news updates and interactive foliage trackers that show projected foliage levels by date and location, based on last year’s foliage season. You'll find New Hampshire's interactive fall foliage tracker here. The Visit New Hampshire website also provides daily updates on scenic drives, plus more extensive foliage reports on Tuesdays and Fridays. This helps visitors find out what kinds of colours are on the trees, percentage peak and suggested drives to see the best foliage. The NH Foliage Tracker App allows mobile access to daily updates, twice a week foliage reports, itineraries and a photo gallery (it's available for Apple and Android). 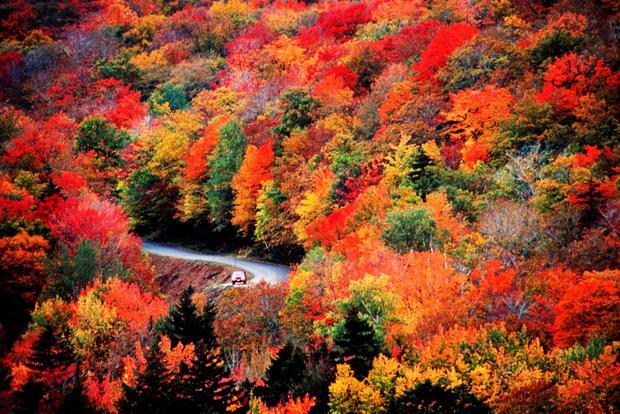 You can check #NHFoliage on social networks, too. Massachusetts Tourist Board also has a dedicated fall foliage website. What are the best deals this year? €129pp: Norwegian (norwegian.com/ie) now flies direct from Dublin, Cork and Shannon to Boston Providence. The one-way fare does not include bags. €169pp: Aer Lingus has a new, pared-back 'Saver Fare' offering one-way tickets Hartford, Connecticut from €169 each-way (excluding checked bags and other extras). Flights to Boston start from €179 each-way. NB: Delta (delta.com) and United (united.com) also fly direct from Dublin to Boston. Wow Air (wowair.ie) flies via Reykjavik. €1,449pp: American Sky has a 14-night, self-drive 'Classic New England Tour', including car hire, for travel in October. 01 664-9900; americansky.ie. €1,557pp: Trailfinders has a 15-day fly-drive holiday to Boston, Cape Cod and the White Mountain. 01 677-7888; trailfinders.ie; itaa.ie/offers. €2,867pp: American Holidays has a seven-night luxury trip including return flights, premium hotels, luxury coach tours, a guide, all breakfasts and five dinners. 01 960-9274; americanholidays.com. NB: All prices subject to availability and change. This feature has been updated to reflect current prices and offers for 2017.